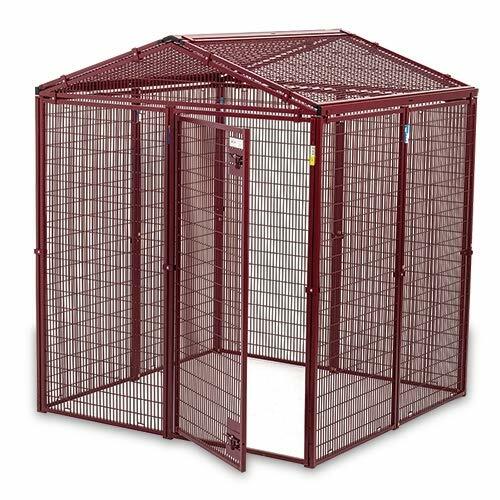 Animal House Protective Catio Cat Cage is made of tough construction materials but it can still accommodate your endless customization features. It has a modular design and easy entrance making it a great cat cage. You can expect this unit to last for many years due to its excellent durability. It is a heavy structure that is ideal for outdoor use for the pet cat to enjoy outdoors with the safety enclosures that is made of spacious interior or heavy duty to match it up. You are assured that predators cannot get into your cat’s way. Protective design. 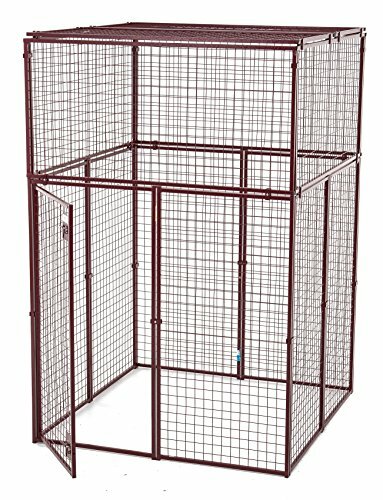 This cage is spacious and made of quality components that ensure your pet is safe from the threatening predators when it is outdoors. Thus, you can be assured that your pet is safe even when you are away. Modular design. This allows you to make some additions you deem necessary to the enclosure any time you want to. Easy access. It offers a gate access. The gate is free swinging that allows for easy entrance and exit. Durable. The unit features quality construction. This is made possible with the heavy welded wire panels that have a powder coat finish. Thus, the unit is strong, durable, and ideal for outdoor use. 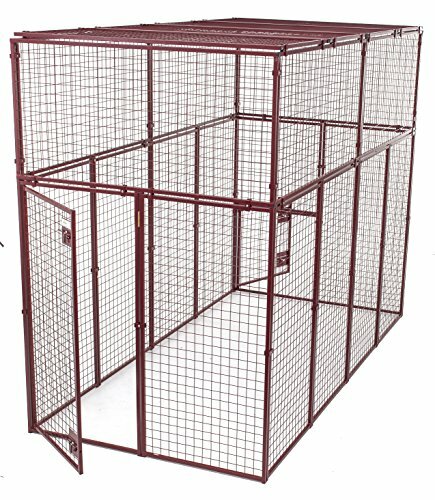 Animal House Protective Catio Cat Cage provides adequate protection to your pet while you are away. It is designed to keep potential predators away.